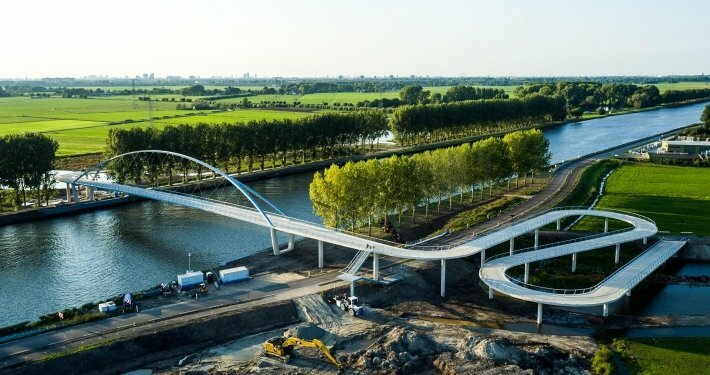 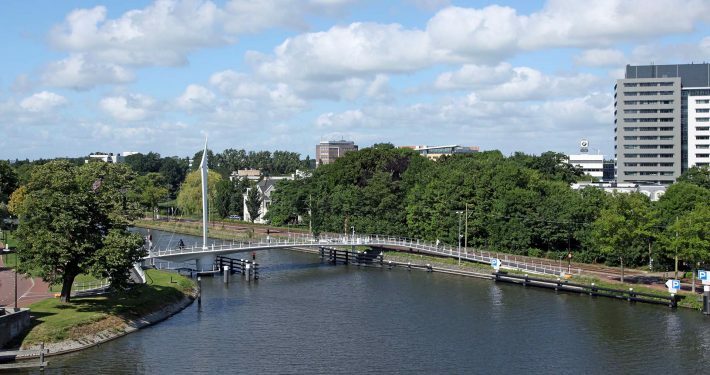 With a 23-metre tall tower and an innovatively placed counterweight, this bascule bridge in the northern Dutch town of Assen is a true eye-catcher. 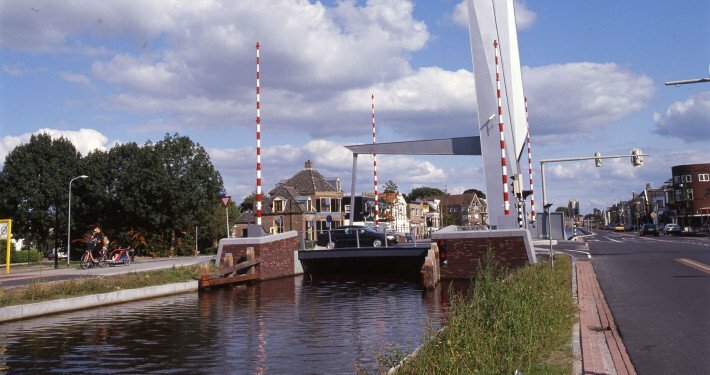 The bridge is a modern take on the traditional drawbridge. 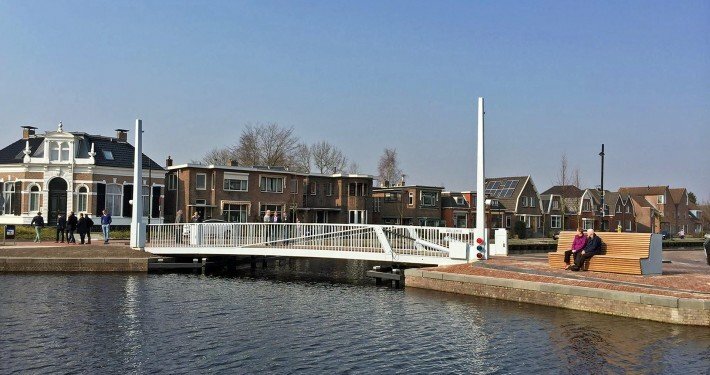 Unlike most drawbridges, the New Witter Bridge only has a single tower, a single balance and a single steel link arm. 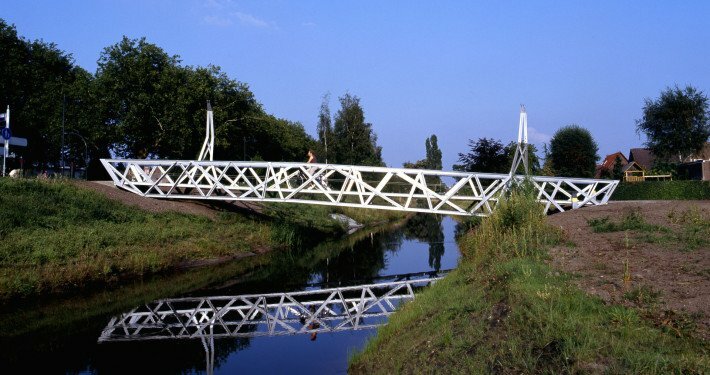 What really makes this bridge stand out, though, is the fact that the bridge’s counterweight is placed on top of the tower. 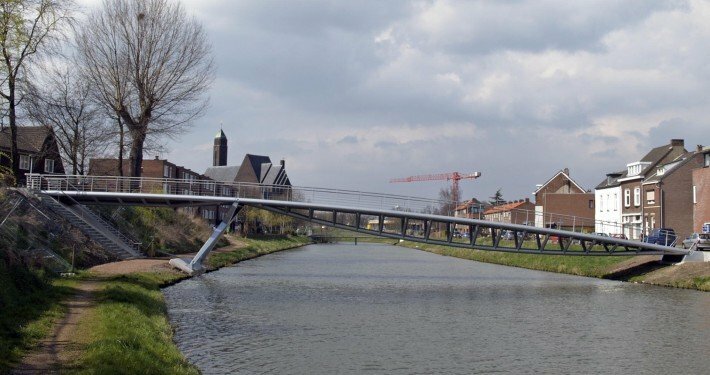 When the steel bridge opens, both counterweight and balance slowly disappear within the tower’s volume. 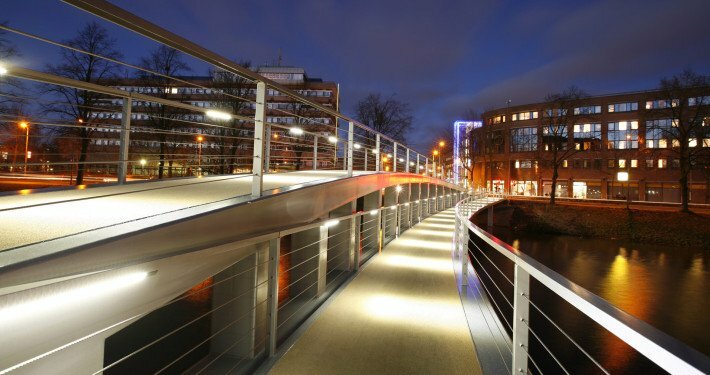 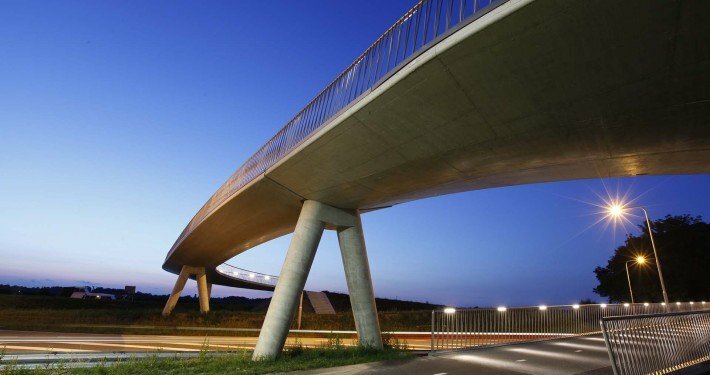 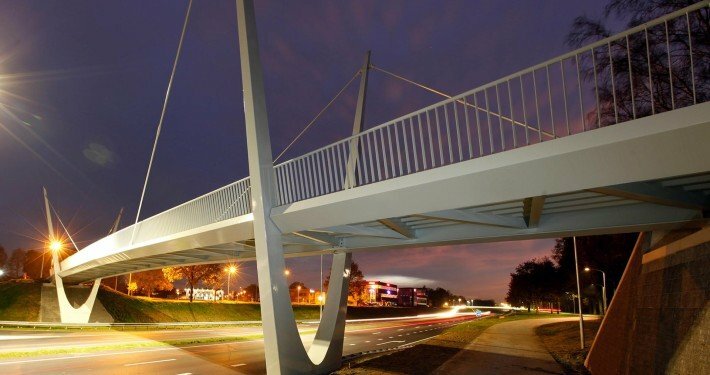 Besides its height and the bridge mechanism, the faceted surface of the aluminum coloured bridge can easily be noticed. 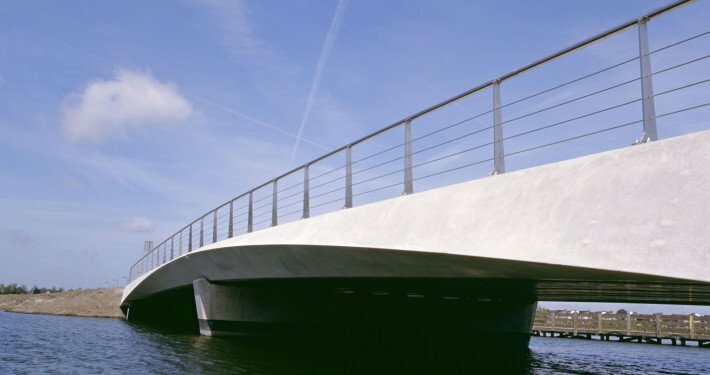 Most surfaces, including that of the balusters, are faceted one way or another. 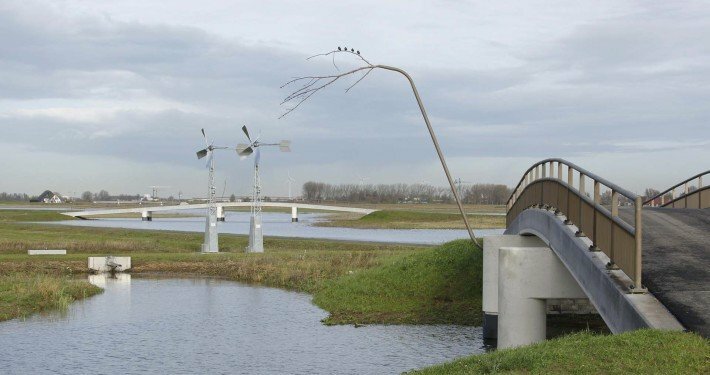 As each plane reflects the light differently, the various planes create different shades of grey. 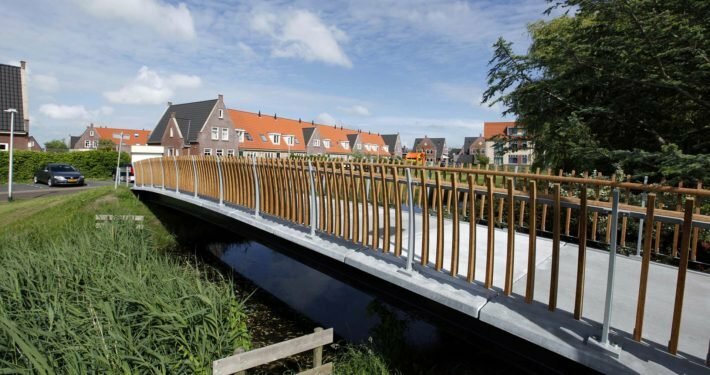 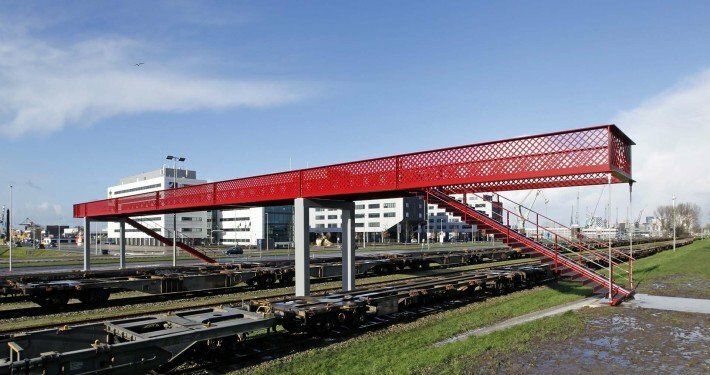 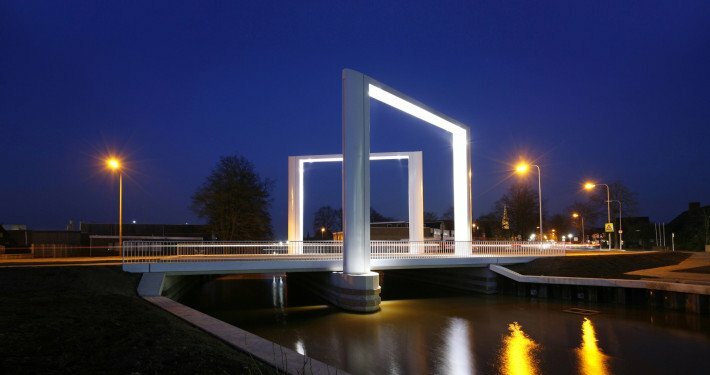 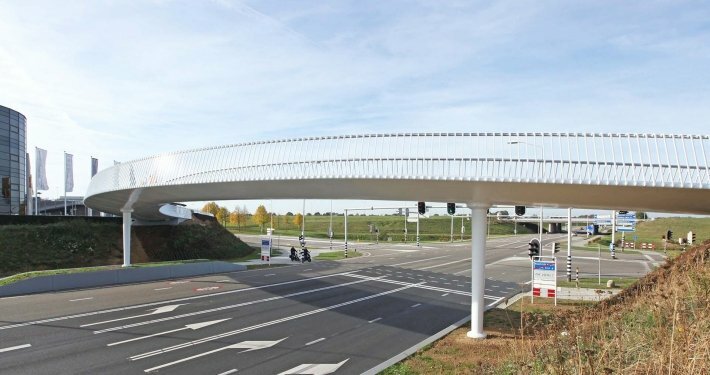 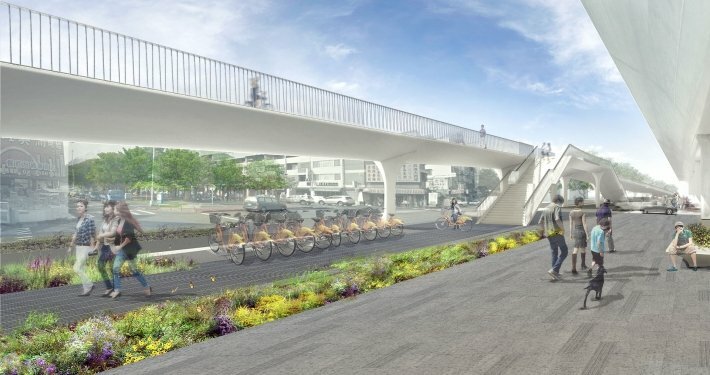 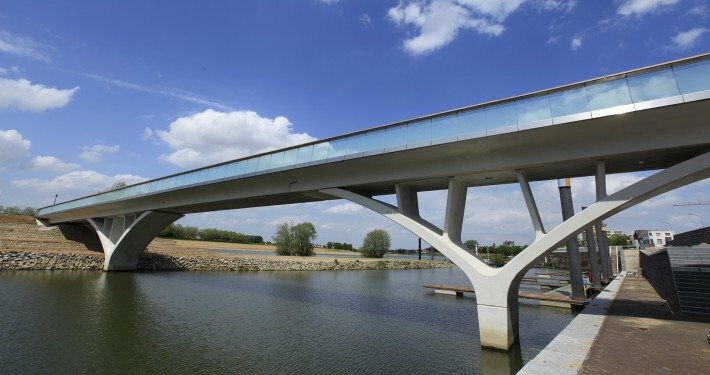 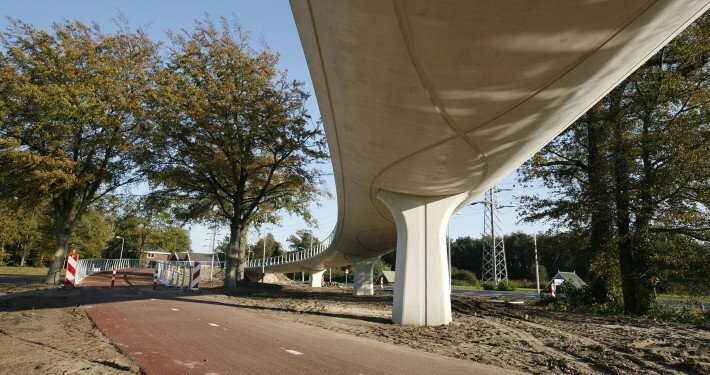 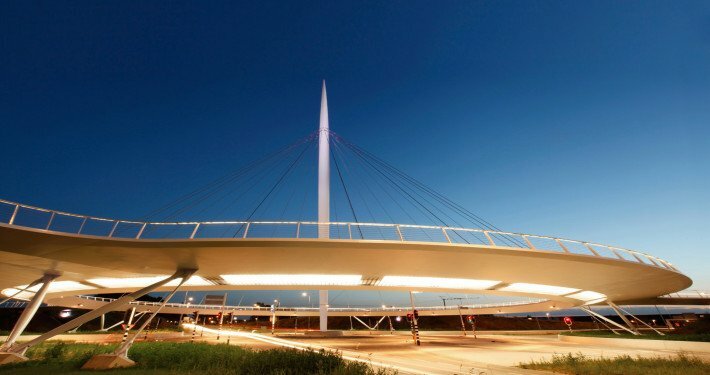 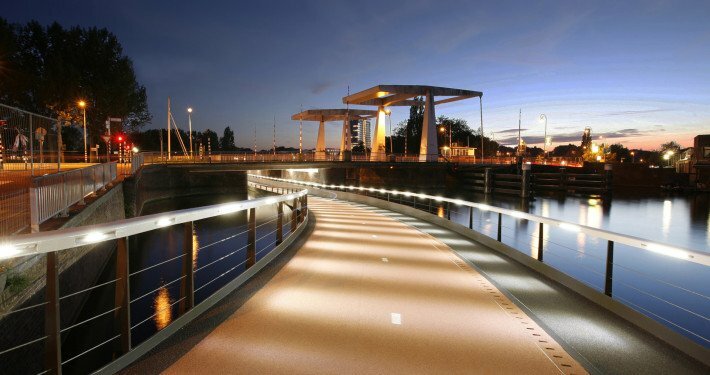 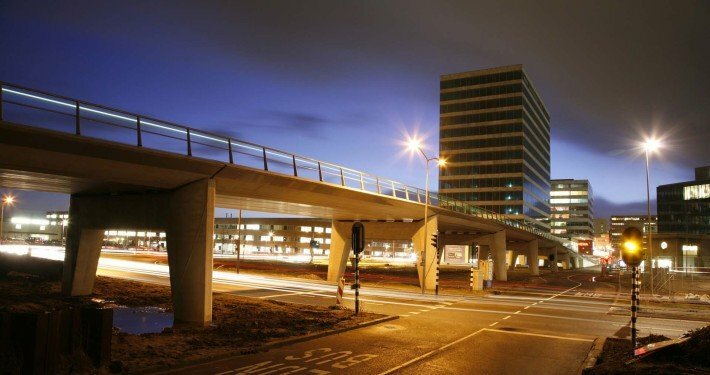 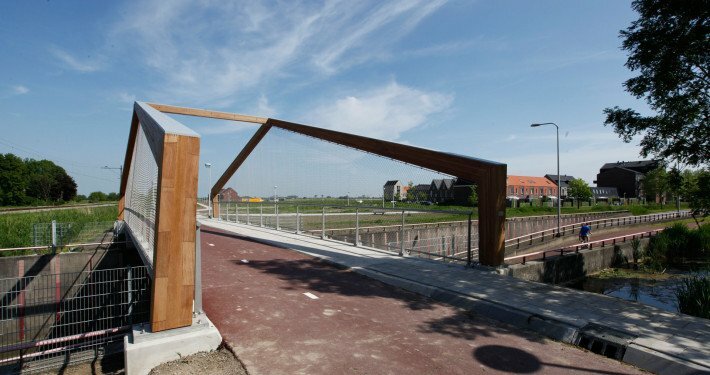 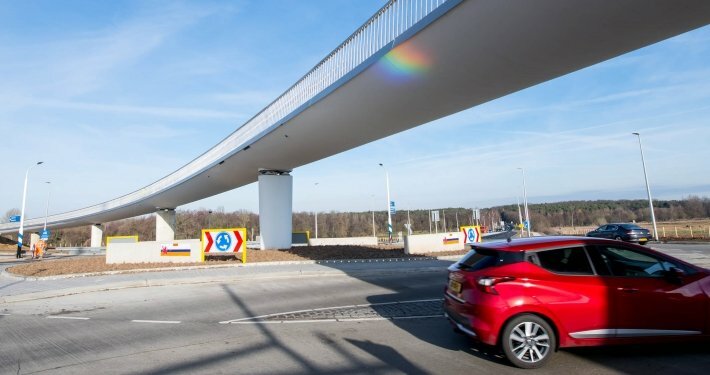 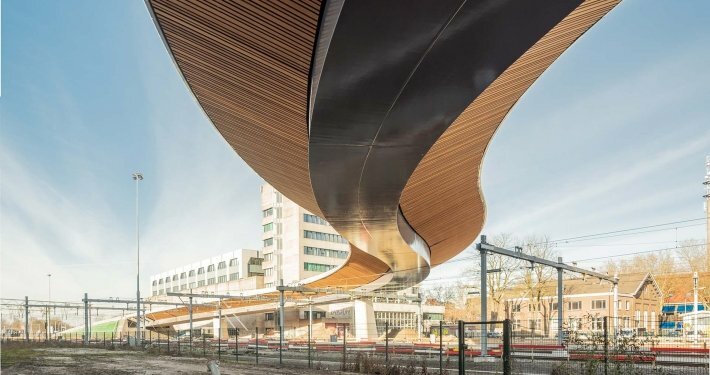 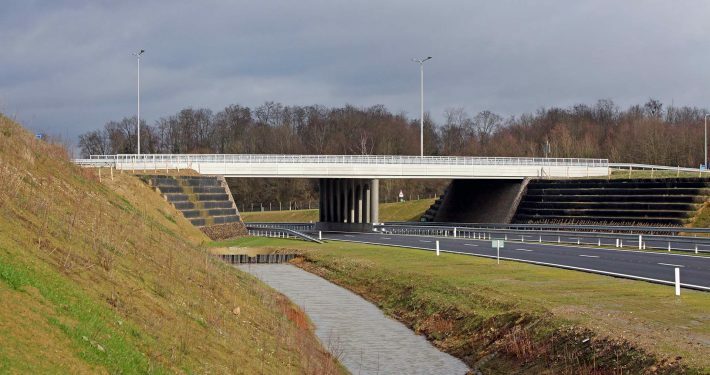 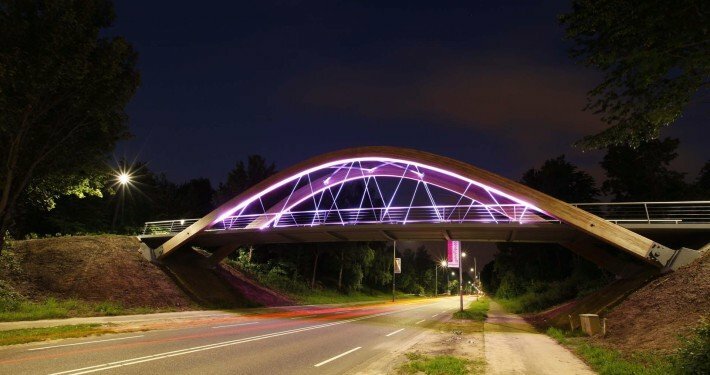 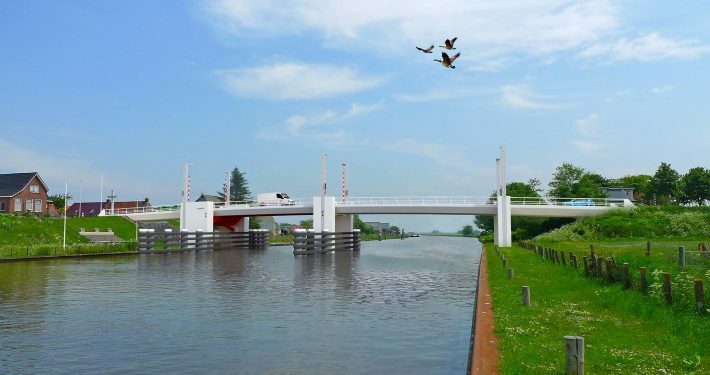 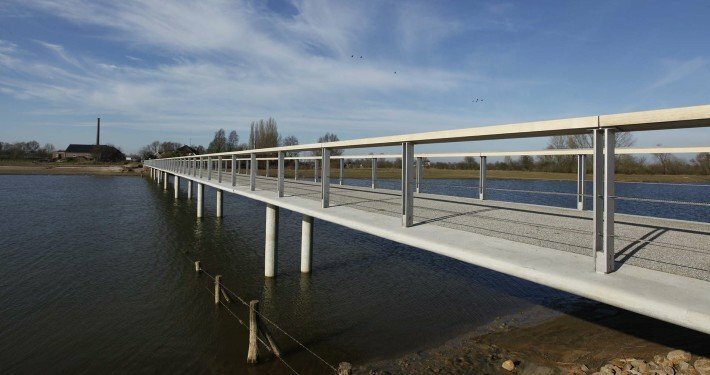 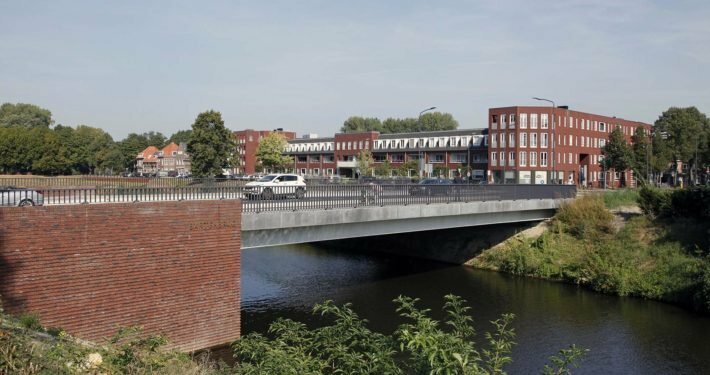 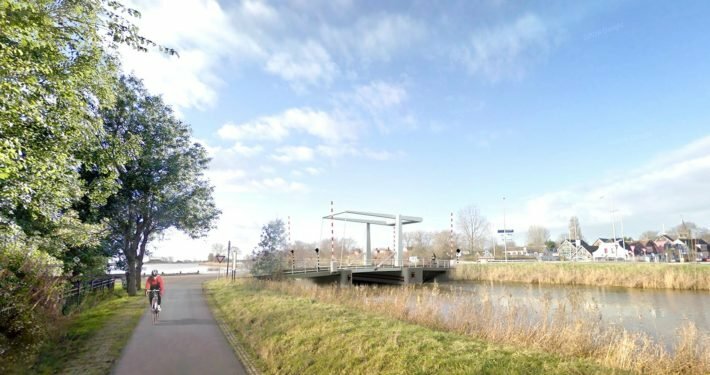 Located on the main waterway into Assen’s town centre, the local council wanted the movable bridge to stand out and mark the entrance to the historical city centre. 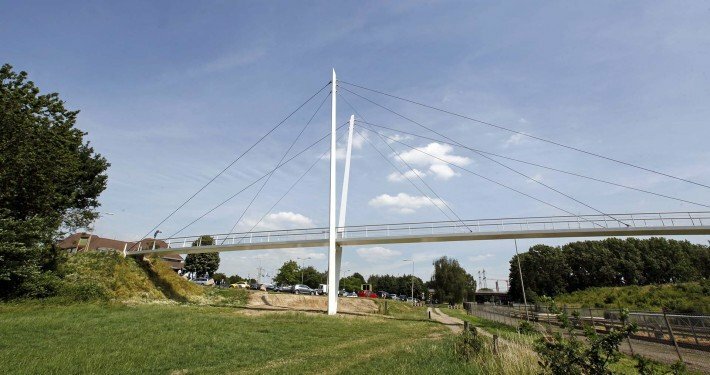 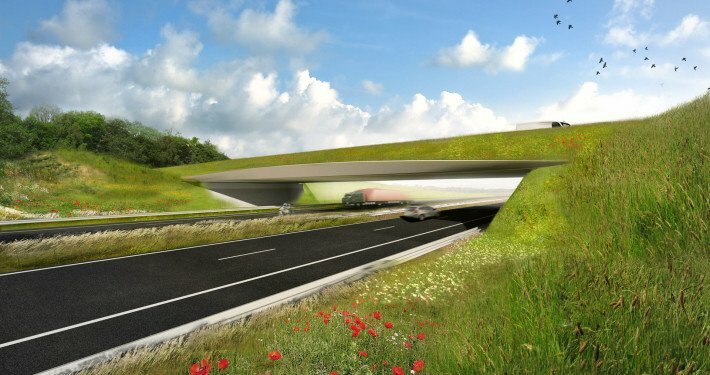 Our design was chosen out of three designs as the one that best fit the council’s wishes. 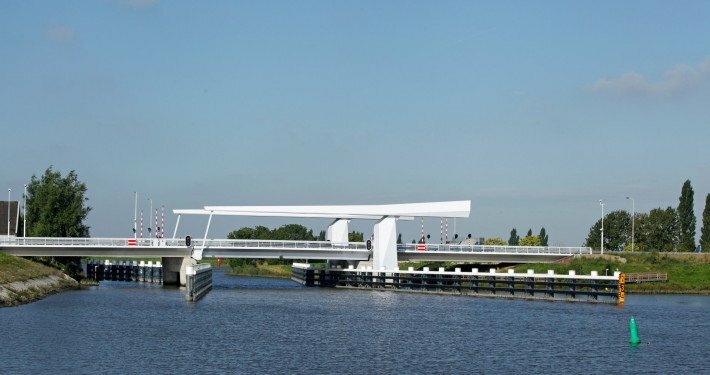 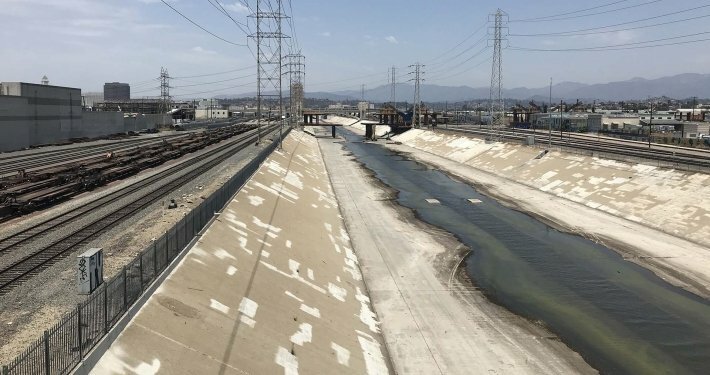 The bridge was opened on July 10th 2008.